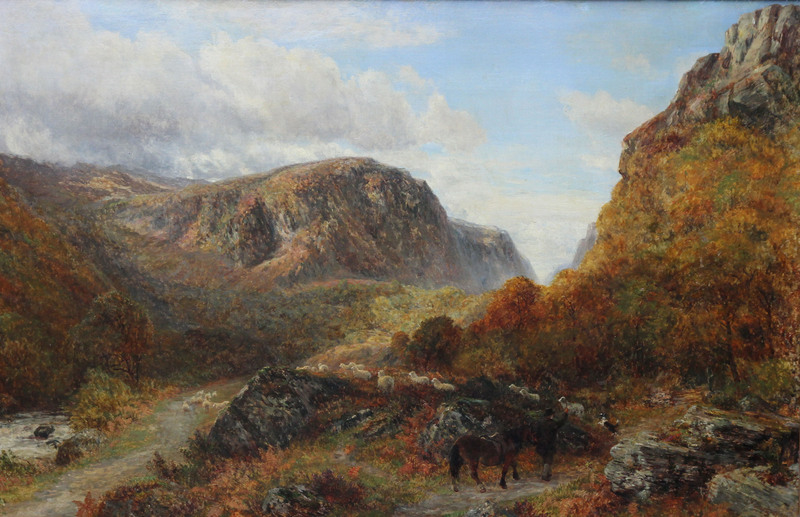 A very large and detailed Victorian British landscape by Charles Thomas Burt. The work depicts a shepherd, flock and sheepdog in a panoramic open landscape. There is a vast mountain range beyond which I believe to be Snowdon in Wales. 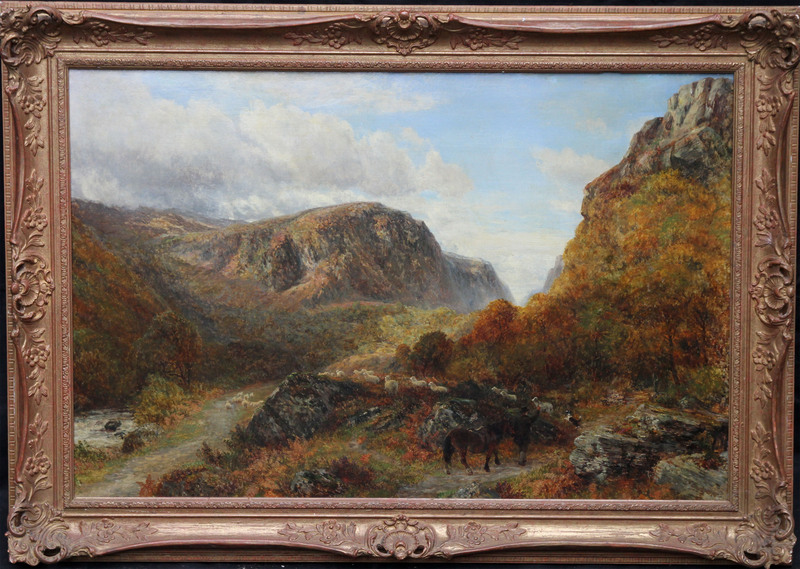 It is in a fine Victorian frame in excellent condition. One of the largest and best works by this artist. Signed right. Fine gallery frame, 43 inches by 31 inches. Good condition.